Nevertheless, on car trips short and long, we’ve found this Family Time album from Ziggy Marley to be an indespensible tool for taming boredom and even sweetening soured dispositions in our ranks. I threw the sing-song preschool albums out the window long ago (okay, not literally), so I assure you, this is music you will likely enjoy as much as your kiddos. Even Ziggy’s tip-of-hat to the alphabet with his jamming ABC song gives fun and unexpected departures from toddler tunes such as, “G is for my guitar, and H is for… here we go!” as he returns to the slinking chorus: “Bend down low… Let me tell you what I know…” But the one tune that really gets us singing together (sometimes in fragile harmony) is the repetitious but beautiful “If I had the wings of an eagle… I would fly, fly away…” which always hits home with the kids as we sing on the final long stretch before reaching our next destination. And will you sing along? And will you laugh at the lyrics? And will you drum your thighs and the dashboard? And smile and bop your head at the folks passing you in the right lane? Well, your personal mileage may vary, but it hasn’t made it out of the car since our last road trip and it will certainly be there for our next. Want to listen in to some samples? Follow this link. If you’d like to pack-along Ziggy Marley’s Family Time for your upcoming trip, you can click here to get the CD from Amazon (you can also get the MP3 version free in Cloud Player w/CD purchase) click here to download it from the iTunes store. Want more tips and ideas for your family road trip? Visit the Car Seat and Road Trip Tips page and be sure to pack along your Take-Along Travels with Baby guide for Entertainment to Go and Pit Stop ideas as you travel. First road trip with your baby or toddler? Be sure to read Part 4: Travels by Automobile in Travels with Baby: The Ultimate Guide… Want to see other Pack This! features that may save the day on your trip? Click here to browse all Pack This! recommendations so far. 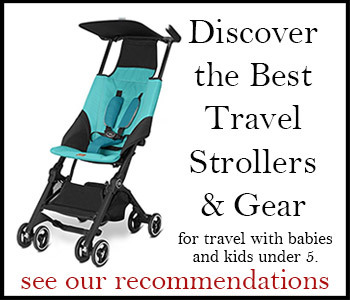 Have you entered to win the new Quinny Yezz ultra-compact folding travel stroller? Sure it fits in the overhead bin of most aircraft and quite possibly in the under-seat space as well, but just think how much space it will save in the trunk of your car on that next road trip! Follow this link for your chance to enter to win my Quinny Yezz sweepstakes – ends midnight tomorrow, 5/29/13! We have this album already and love it!